Are you in need of a Social Security Disability/SSI Lawyer? Call Thurswell Law now to learn about the benefits of having a Michigan Social Security Disability/SSI lawyer on your side. Our professionals have helped hundreds of people get the benefits they were entitled to. We have experienced disability attorneys available to help 24/7. Call toll-free at 866-354-5544 or 248-354-2222. If you are suffering from an injury or illness that prevents you from working, then Social Security Disability/SSI Benefits may likely be your best solution for income. Oftentimes, Social Security Disability (SSDI/SSD) and Supplemental Security Income (SSI) claims are denied at the initial level. When this happens, claimants must go before an administrative law judge in order to attempt to receive their benefits – it’s a process that’s difficult to navigate without an experienced lawyer. The attorneys at Thurswell Law are knowledgeable and informed of Social Security Disability/SSI laws, rules, and regulations. By contacting us today, you will receive a free consultation for your case. If we are unable to recover money for you, there will be no fee for our services. Q:How do you develop a disability case? Our disability attorneys will develop your case to adhere to Social Security rules and regulations, meaning that you do not have to deal with the intricacies of Social Security law. We work to track down important medical records and test results, obtain statements from your physicians, and apply our familiarity and expertise to your case. With Social Security Disability / SSI law, precedents have been set, many of which only disability attorneys are aware of, which will help you win your case. On top of this, certain medical conditions warrant specific questions of which our attorneys will be prepared for. Q:What are my odds of winning without legal help? Attending a hearing before a judge without the assistance of a disability attorney may result in a lost opportunity to win disability benefits. Research indicates that the odds of winning a disability claim before an administrative law judge are remarkably decreased when a claimant does not hire an attorney. Q:Can Social Security determine if I can work? Social Security considers your age, education, past work experience, any transferable skills, and the degree of your disability when determining if you can work. If Social Security determines that there is a significant number of jobs in the local or national economy that you can do, then you will not be found disabled. However, if Social Security finds you cannot adjust to work, you will be granted Social Security disability benefits. Q:If my medical condition is severe, can I win my claim without an attorney? If you have a severe impairment or medical condition, you do have a better chance of winning your claim. However, remember that an experienced attorney will know how to proceed and present the facts at your hearing. When your medical condition is more severe, it is even more important that you win your case, and your chances of receiving disability benefits are higher with an attorney by your side. Look no further than Thurswell Law for a top-notch Social Security Disability/SSI Lawyer to ensure that you are well-represented for your claim. Call 866-354-5544 today for your free consultation! 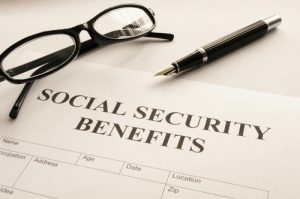 Denied Your Social Security Disability Benefits in Michigan – Now What?